Frank D'Onofrio - Donor - The Eye-Bank for Sight Restoration, Inc.
Frank D’Onofrio was born on January 14, 1938 in Naples, Italy. He came from a family of seven, five brothers and two sisters. In 1956 Frank came to the United States. He started to work as a barber. In 1958, he met Marianne Chesnick and married her in 1961. In 1962, he became a citizen of the United States, he was very proud to be an American. He loved this country. In 1962 his daughter Marianne was born, in 1965 his son Frank was born. Both of his children married, and he became a grandfather to three grandchildren, Jessica, Ryan and Frankie. He loved playing cards, bowling, hunting, and playing bocce ball. He loved spending time with his family and friends and being with his grandchildren. He also enjoyed traveling with his wife and family. He retired in March 2005, and enjoyed his year of retirement. 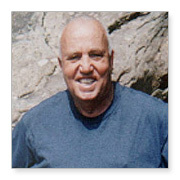 Frank was a very healthy and loving man, but on April 24, 2006 he suddenly passed away of a massive heart attack. He was 68 years old. His family decided to donate his corneas to The Eye Bank. Frank was a wonderful husband, father and grandfather. He loved his entire family and friends; they meant the world to him. He will be missed and he will never be forgotten. His grandchildren speak of him often and adored him and miss him very much.